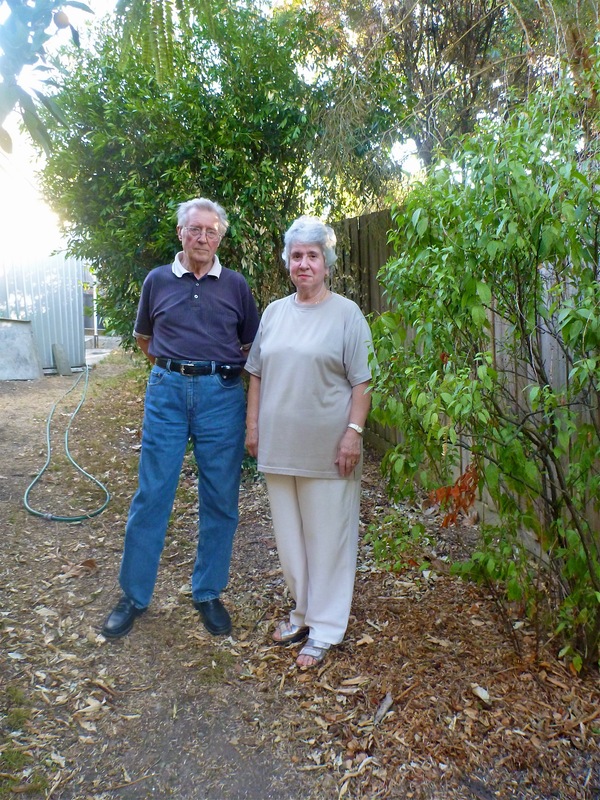 Carole and Alf Adins standing next to the easement that runs along the back of Drysdale Road properties. Along with many other residents, they don’t support the Council’s plan to kerb and channel Melbourne Hill Road and nearby streets. A group of Warrandyte residents have declared they will fight Manningham council’s $1.9 million proposal to install drains and kerb-and-channel in part of the Melbourne Hill Road catchment. Residents said the cost, lack of consultation and fears the proposal would ruin the amenity of the area are among their reasons for opposing the drainage plan. Council hopes to recover $900,000 from residents. This would affect residents in nearby streets, including Lorraine Avenue and Drysdale Road. Lorraine Avenue resident Peter Hookey said the majority of residents felt the proposal was excessive. Council engineers said drains were needed to significantly reduce the risk of flooding for houses at the bottom of the hill. Six houses were flooded in the downpour of 2011, causing thousands of dollars damage to properties at the bottom of the catchment. Many residents say the proposal’s price tag, which council estimated would be between $5000 and $15,000 per household, is too high. Council’s chief executive officer, Joe Carbone, said council had already increased its contribution to the project. He also said it was likely council would offer loans to residents with quarterly instalments over 10 years. However, Drysdale Road pensioners Carole and Alf Adins said they couldn’t afford to pay back a loan. “Why should residents have to take out a loan and pay interest? As pensioners, that hits us hard,” Carole said. The couple said they had also installed water tanks to collect excess water that would otherwise run down into the catchment, and felt other residents should do the same. A number of residents told the Diary they had rarely seen council doing maintenance work on the open drains, which are full of leaf litter and debris. They said council should focus on regularly clearing debris and building culverts beneath driveways to a standard diameter before considering the current proposal. However, Mr Carbone said council did try maintaining the catchment and had run out of options to continue maintenance works on a system that had inadequate existing infrastructure. “Modifications to improve the capacity of the open drains would likely result in excessively deep channels close to roads which then pose a hazard to motorists,” he said. Mr Hookey said he sympathised with households at risk of flooding, but felt others shouldn’t have to pay for mistakes council made decades ago. “There are two houses in Melbourne Hill Road which were built on an old dam and the council back then allowed these properties to be built along a natural watercourse without proper follow-up,” he said. Former councillor David Ellis from the Warrandyte Community Association said the association would monitor the situation closely to ensure the interests of the Warrandyte community are taken into account. Residents have received survey forms and council will consider community opinion at its March meeting.